A big part of Alaïa's timeless appeal is the level of craftsmanship that goes into each piece – founder Azzedine Alaïa first trained as a sculptor and approached his designs like an artist. 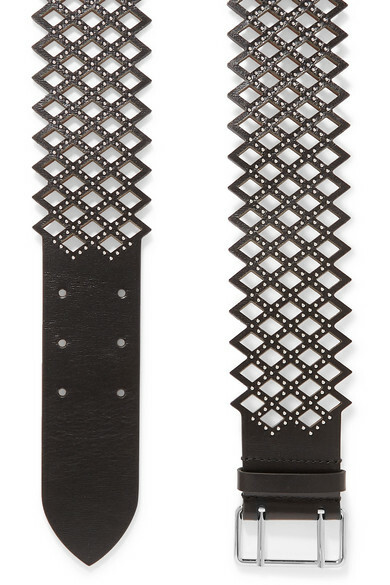 Defined by a laser-cut crisscross design, this leather belt is punctuated with scores of silver studs. Wear yours over crisp shirts and oversized blazers.